Si corre per la prima volta sul tracciato di Montreal, un circuito cittadino ma veloce: dopo le qualifiche il più veloce è Jarier con la Lotus, seguito da Scheckter (Wolf), l' idolo di casa Villeneuve (Ferrari), Watson (Brabham), Jones (Williams) e Fittipaldi (Fittipaldi). Al via Jarier si porta in testa velocissimo, mentre dietro una collisione mette subito fuori gioco Andretti con l' altra Lotus e Watson, mentre lottano tenacemente per il secondo posto Jones, Scheckter e Villeneuve. Il canadese infiamma il suo pubblico passando prima la Williams dell' australiano, e poi anche la Wolf mettendosi all' inseguimento di Jarier. Il francese deve rallentare per problemi meccanici e così fra le urla dei tifosi Villeneuve passa al comando al 49° giro, mentre poi la Lotus sarà costretta al ritiro. Gilles conquista così la sua prima vittoria, secondo è Scheckter e terzo Reutemann con l' altra Ferrari, quindi Patrese (Arrows), Depailler (Tyrrell) e Daly (Ensign). 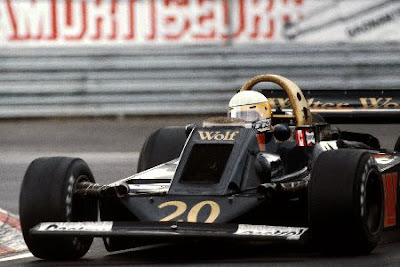 It runs for the first time on the track in Montreal, a city track, but fast: after qualifying fastest is Jarier with Lotus, followed by Scheckter (Wolf), the 'idol Villeneuve (Ferrari), Watson (Brabham) , Jones (Williams) and Fittipaldi (Fittipaldi). At the start Jarier moves ahead fast, and after a collision immediately puts Andretti out of the game with the 'other Lotus and Watson, as they fight tenaciously for second place Jones, Scheckter and Villeneuve. 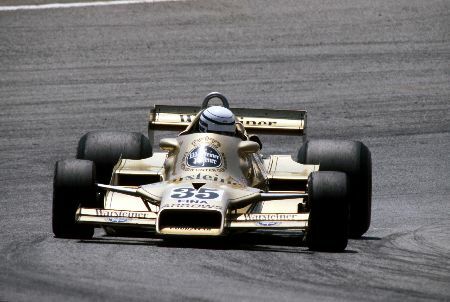 The Canadian ignites his audience through the first of Williams 'Australian, and then also putting all the Wolf' tracking Jarier. 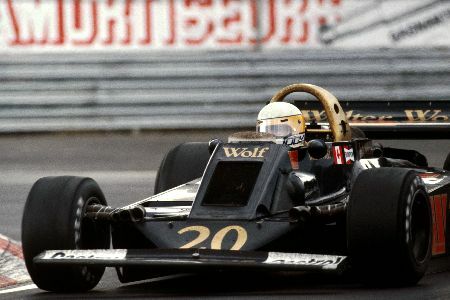 The French must slow down due to mechanical problems, and so between the screams of the fans Villeneuve passes the lead on lap 49, and then the Lotus will be forced to retire. 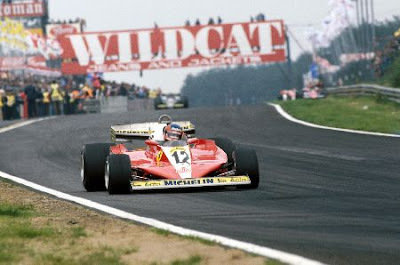 Gilles conquers his first win, second and third Scheckter Reutemann with the 'other Ferrari, and Patrese (Arrows), Depailler (Tyrrell) and Daly (Ensign). Она работает в первый раз на трассе в Монреале, город трек, но быстро: после квалификации быстрым является Jarier с Lotus, следует Шектер (Wolf), "кумир Вильнев (Ferrari), Уотсон (Brabham) , Джонс (Williams) и Фиттипальди (Фиттипальди). В начале Jarier продвигается быстро, и после столкновения сразу же ставит Andretti из игры с «другими лотоса и Ватсона, как они борются цепко за второе место Jones, Шектер и Вильнев.Канадские зажигает свою аудиторию через первую из Уильямса Австралии, а затем и положить все Wolf 'отслеживания Jarier. Французы должны замедлиться из-за механических проблем, и так между крики фанатов Вильнев проходит ведущего на коленях 49, а затем Лотос будет вынужден уйти в отставку. Жиль завоевывает свою первую победу, второе и третье Шектер Reutemann с "другом Ferrari, и Патрезе (стрелки), Depailler (Tyrrell) и Дали (Ensign).